Start your watch collection and track the performance of your favorite pieces. Learn what awaits you in the Watch Collection in this short video. Start your Watch Collection on Chrono24 and see your watches in a whole new light. Using our new tool, you can manage your watches online and keep an eye on their current estimated value. 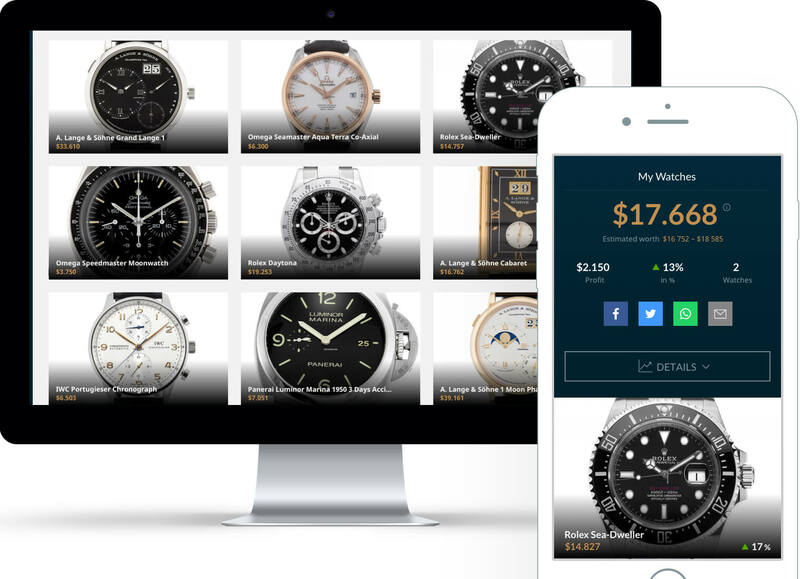 Quick and easy: We'll display the current value of your Watch Collection based on our unique data. Helpful charts offer a look at the gradual development of your watch collection's value. Use the data to make smart choices and develop your Watch Collection. Upload pictures and save personalized notes about each watch to individualize your Watch Collection. Send individual watches or your entire Watch Collection to friends in just a few clicks. Enter your watch's reference number. If you can't find the reference number, you can enter the brand, model, or other characteristics of your watch. I don't own this watch.